Monthly Panchang or Panchangam is an Indian Hindu based monthly calendar. Indian people do believe in auspicious moment to start any activity. For that, they check Indian Calender, known as Panchang. Once they get the confirmation about an auspicious time, then only they perform any new task. There is an yearly calendar defined in Astronomy including 12 months. Likewise, we have an Indian calendar including 12 months. It is also known as 'Almanac' according to ancient Vedic. Panchang is basically a calendar consisting of five limbs. Panchang consists of two words namely, 'Panch' and 'Ang'. Panch means 'Five' and Ang means 'Limbs'. These limbs are Tithi, Vaar, Yog, Karan and Nakshatra. It is a process of keeping time in a tabulated form, like a ledger in accounting. It is a Sanskrit word, which has been derived by the word 'Panchangam'. It represents the five limbs of a calendar. Vedic Astrology is divided into five fundamental parts, also known as Panchang. The Panchang is used by the astrologers in order to find and judge an auspicious time to perform any task. It is also used to calculate vedic birth chart or natal chart of a person. It is also called by various names in different regions of India like Tamil Panchangam, Telugu Panchangam, Kannada Panchangam in South India, Gujarati Panchang, Marathi Panchang in Western India, Hindu Panchang in North India, and Bengali Panchang in East India etc. It is also known as Hindu Calendar based on Nakshatra readings in the sky. How Monthly Panchangam is Calculated? Monthly Panchang is basically a collection of important dates and times placed in a tabular format for a particular month. It will enable to let you know about an auspicious moment. These dates are based on the astrological facts and also on astronomical data as per Nakshatra. The important dates are mainly analysed with respect to Moon Nakshatra, that means the nakshatra in which your natal Moon is placed. The calculation is based upon the position or movement of planet, star or Nakshatra in a certain sign and at a certain degree. How these alignment are supposed to affect the person on so called dates can be analysed through important dates of Panchang. One should understand the concept of sidereal movement of universal bodies in order to get a clear understanding of casting a Panchang. It involves lots of mathematical calculation with geometric patterns and also includes understanding of astronomical phenomenon. The panchang is used to calculate tithi, vaar, yog, karan and nakshatra to find out Muhurat (an auspicious time to perform any important task). It can be checked while finding muhurat for marriage, griha pravesh, starting of any puja for an auspicious work etc. It has proved to be more effective while taking medicinal herbs, that means you will be cured in no time while taking medicinal herbs or Ayurvedic treatment. If you start taking medicine at a certain nakshatra, it can give you better and quick relief from diseases. Ephemeris can provide you important dates and time of famous Indian festivals for the whole month based on the position of Moon and planets in a certain nakshatras and signs. Panchang can provide you the exact timing to perform any task. There are 30 tithis defined in Vedic Astrology in a month. The first fifteen tithis of Hindi are included in Shukla Paksha whereas the next fifteen tithis are included in Krishna Paksha. If moon completes 12 degree, then it will be one tithi of that particular month. These pakshas are also called as bright half and dark half of moon. Tithis are classified into 5 types namely, Nanda, Bhadra, Rikta, Jaya and Poorna. It is also known as the 'Day' of the week. The time difference between one sun rise to next sunrise is known as 'Vaar' or Day. The Vaar are seven in Numbers viz, Sunday, Monday, Tuesday, Wednesday, Thursday, Friday and Saturday. Karan is half of tithi. Hence if Tithis are 30 in number in a particular month then Karan will be 60 in number for that particular month. These are of two types in nature namely, Movable and Fixed. Movable Karans are 7 in number namely Baav, Balav, Kaulav, Tatilya, Gara, Vaanij, Vishti and Fixed are 4 in number namely, Shakuni, Chatuspad, Naag, Kitughna. There are 27 nakshatras defined in Astrology as well as Astronomy. The group of stars are basically known as 'Constellation'. Every Nakshatra consists of 4 charans and one zodiac sign consists of 9 charans. 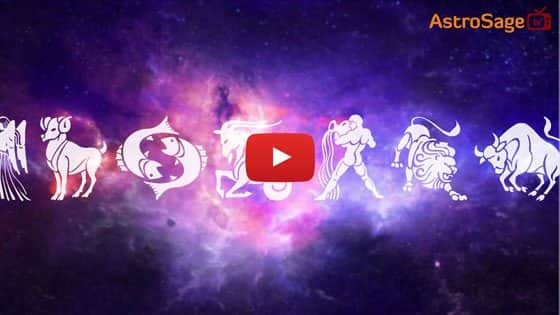 The name of 27 Nakshatras are as follows in sequence: Ashwini, Bharani, Krittika, rohini, Mrigshira, Ardra, Punarvasu, Pushya, Ashlesha, Magha, Poorva Phalguni, Uttar Phalguni, Hasta, Chitra, Swati, Vishakha, Anuradha, Jyeshtha, Mula, Poorva Ashada, Uttar Ashada, Sravan, Dhanistha, Shatbisha, Poorva Bhadrapad, Uttar Bhadrapad and Revati. Chaitra, Vaisakha, Jyeshtha, Ashadh, Sharavan, Bhadra, Ashwin, Kartik, Margasheersh, Paush, Maagh, Phagun. ● Panchang is very important to check your day to day or practical tasks based on astrology. ● It is a good & auspicious time finding tool and used to know the good time to start any business. ● It is a kind of astrological diary which helps you to let know about the position of planets and nakshatras in certain sign. ● It is an ancient science which helps you to know about your good time to start any activity in order to increase the chances for success in your concerned area. Hence in conclusion, Monthly Panchang is an astronomical time keeping instrument to know about Muhurat in a month and results it will or might provide. Astrologers must check the Monthly Panchang in order to find out a suitable time slot.